NEW Modern 1 Story Custom. 14 x2019; Ceilings, Pocket Doors/Walls, Linear Fireplaces, Porcelain Floors, Wolf & SubZero Kitchen, Contemporary Cabinetry & Countertops, Office, Wine Bar, Formal Dining, 50Ft Pool, Wet Deck & Spa. Full Strip, Golf, City & Mntn Views. Richard Luke, AIA. Paid Club Initiation Fee & 1 Year Sport/Social Membership. Completion Date: 1 Year. Country Club Life Golf Course; Fitness, Tennis & Swim Complex, Clubhouse Bar & Dining. Modern 1 Smart 1 Sty. The Richard Luke Five Star Collection @ MacDonald Highlands. Media/Game Rm, Office, Wine Bar, Glass Wine Cellar, 14 x2018; Ceilings, Pocket Doors, Porcelain Flrs, Wolf & SubZero Kitchen, Contemporary Cabinets, Waterfall Countertops, Auto Shades, Home Automation, Surround Sound, Infinity Pool, Spa. Fire Lounge. 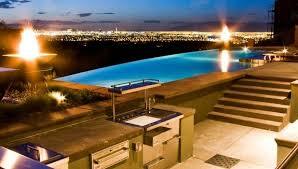 Outdoor Kitchen, Strip, City & Mntn Views. Country Club Lifestyle: Golf, Fitness, Tennis & Swim, Bar, Dining & Clubhouse. Custom estate in MacDonalds Ranch is adorned with elegant entryway, rooftop terrace, and views. Open floor plan leads to inviting spaces for intimate gatherings and large events. Fully-equipped kitchen and indoor/outdoor pool and spa is sure to add delight. 2 master suites include fireplaces, master baths and premium finishes. Entertain in style with rec room, gym, wine cellar, sauna, theater, and outdoor bbq. Exquisite custom home located in guard gated Roma Hills! Be welcomed by a dramatic entrance with grand staircase. Wood and tile flooring flow throughout the 5-bedroom home. Spacious chef-style kitchen features top of the line appliances. Take in stunning mountain and Strip views from the expansive balcony. Backyard features lush landscaping, sparkling pool / spa and waterfall. Other features include: casita, 5 fireplaces, and wet bar! 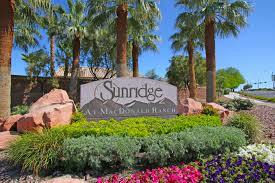 One of a Kind Vu Townhome w/ Pool, Spa and Spectacular Strip, Golf & Red Rock Views. Unique Oversize Floorplan. Exclusive Hillside Location. Supersized Christopher Homes Vu Residence One, 3001SF 1 Story, 2 Masters+Den, 3 Baths, 2 Car. Courtyard, Covered Patio. Contemporary Architecture. Wine Cellar, Linear Fireplaces, Glass Sliding Doors/Walls, Bosch Appliances, Soft Close Cabinetry, Waterfall Quartz Slab Countertops, Oversized Walk-in, Wired. You Will Know You're Home The Moment You Walk In The Front Door! This Modern Luxury Estate Has It All; 5 Bedrooms + Casita W/bath, 4-Car Garage, Private Courtyard, Strip Views, Lush Landscaping, Mesmerizing Pool/Spa W/Cabana, Built-in BBQ, Balconies, Covered Patio, Chef's Kitchen (Entertainers Dream), Dual Dishwashers, Dacor Appliances, Butler Pantry, Oversized Walk-in Closets, iPad Controlled A/V, Loft, Light/Bright, Professionally Designed Int.